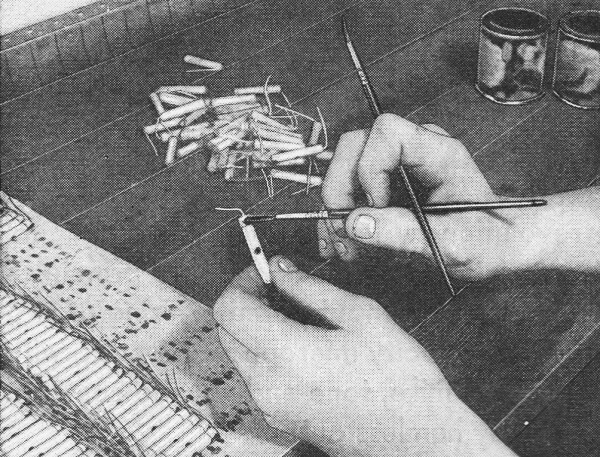 Resistors, probably the most common electronic components in existence, have undergone significant evolution since first being mass produced in the late 19th century. Amazingly, less than two centuries have passed since the concept electrical resistance was first published in 1827 by Georg Simon Ohm, a German physicist. As with most products of the era, and well into the 20th century, resistor manufacturing involved a degree of human labor. 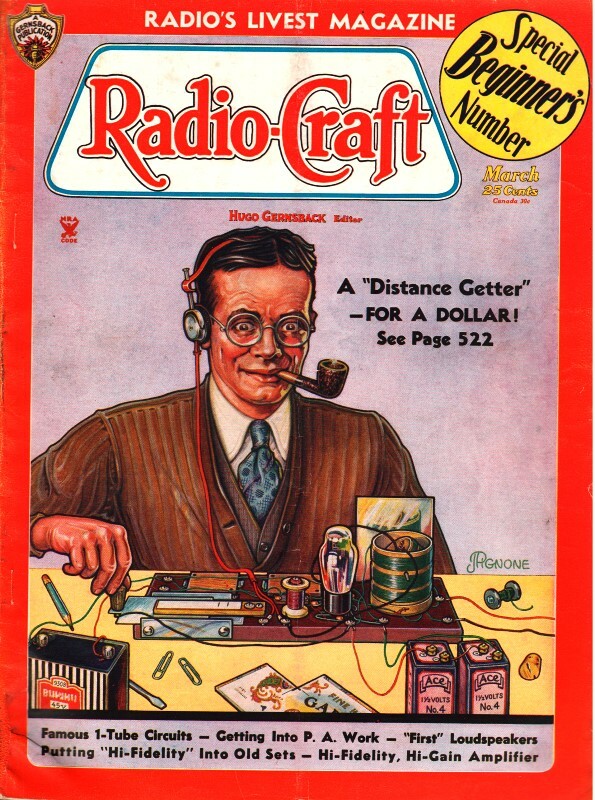 Resistors (and capacitors and inductors for that matter) found in your grandparents' old vacuum tube radios were most likely measured and sorted, and the colored value markings painted by the hand of a human worker. One of America's earliest and largest resistor manufacturers was based right here in my adopted hometown of Erie, Pennsylvania. Here is a short feature I wrote on Erie Resistor Corporation. The radio beginner has no doubt wondered how resistors are made. This interesting article tells how the different types are manufactured, including a new method. Resistors are now made by an entirely new process, by a well-known manufacturer, developed over the past six years as a result of intensive study of the different classes of resistors to eliminate the drawbacks of the general methods heretofore used. A study of resistors shows that they fall into three classes, namely: wire-wound type, carbon-coated or film type, and carbon-composition molded type. The first class is wire wound, and from a cost standpoint can be disregarded. The second class is the so-called carbon-coated type, in which a thin film of carbon is placed on a glass or porcelain rod or tube. In some cases this is spiraled to vary the resistance. Briefly, this type has generally been discarded today, and spiraled units are not being made in important quantities now. The film of carbon is very thin, and therefore, very fragile and unsafe. Mechanically such a structure is undesirable. Injuries easily occur; adhesion of the film to the supporting surface is difficult to control; contact is fragile; and transfer of heat energy depends on mechanical limitations of the whole assembly. The current-carrying capacity must necessarily be a function of the area or cross section and when the resistance is increased solely by cutting down the thickness of the film (already very thin), naturally the current-carrying capacity is impaired, and the current density increases tremendously. This gives rise to overheating, localized stresses and leads to ultimate failure and bad characteristics. The third class is the so-called carbon stick or composition type. It consists of a mixture of a very small percentage of conducting material (carbon) and an insulating material molded under relatively low pressures. Practically it really represents a number of semi-round carbon pebbles which touch each other with a point contact. Therefore, the paths and areas through which current may travel are reduced greatly by the large bulk of insulating particles, and this to a tremendous degree further by the point contact condition. The current density must be considered microscopically, and consequently has heretofore not been stressed to the extent its importance warrants. A study of micro-photographs will bear this out. It shows that the structure of such units is not uniform and contains many voids, irregularities and inclusions. It is seen that the mass is not solid but porous and contact is "point" contact only. Therefore the current-carrying cross section is microscopic, and the current density must of necessity be very high at such points or areas. This has been proven by studying under high-powered microscopes the action of the units under both normal and excessive loads. Glowing points of light were observed proving the intense microscopic current density. Naturally, such points would tend to alter their characteristics both physically and mechanically. Further study was made of resistance values under mechanical loads, and the changes noted under such loads were to be expected in accordance with the above facts. With these considerations in mind a resistance was developed which technically and practically would overcome these objections. First, instead of a background material of very high insulating value, a background material which is in itself a resistance material has been substituted. To vary this material and o get the desired resistance values another resistance material of lower value is introduced. The entire mass, after it has been reduced to absolute uniformity is then subject to tremendous pressure and under such pressure extruded into rods. Consider then the result. Instead of a very small percentage of the cross section being of a current-carrying material, the entire cross-section is current carrying. Further, the cross-sectional area is not composed of a great number of voids and a relatively small number of points of contact, but is microscopically one solid uniform compact current-carrying mass. This is the result of the tremendous pressure, the method of extruding, and the composition of the material itself. In fact, these new units are so uniform that they resemble the micro-photographs of a section of a gun forging. This current-carrying area is large and non-microscopic, and this in itself explains many other results as shown in the succeeding paragraphs. A study of these units under mechanical loads, shows that the resistance value remains constant. This is a most significant fact. Microscopic study under normal and excessive wattage shows that "light" points, or points of excessive microscopic current density do not exist. The method of attaching ends to these units has also been subject to a similar technical study and development. It was desired to secure a uniform sound area of contact, and then to place on this area of contact a metal surface which in itself has sufficient strength and rigidity to be positive in its action. The coating of the ends of the resistor with fine particles of metal produced the first consideration. The second requirement was met by placing on the end of the resistor and over this metal-coated surface a solid piece of metal in the form of an end cap to which end cap was integrally attached the pigtail. In this fashion a much sounder terminal construction was arrived at than in most instances. The physical appearance of the unit bears out these facts. One finds a solid extruded mass., homogenous, and rock-hard which is a conductor throughout its entire body, has a smooth velvety finish, which in itself is ideal for heat radiation. The diameter and length is uniform. The watting ratings are exceptionally conservative for the sizes have been kept standard (to the usual type resistor dimensions) rather than reduce the bulk in keeping with the greater wattage dissipating properties of he unique conducting mass. These units have been in actual existence and on test for some years and have been in their final form for more than a year. The first consideration in testing was to apply load. All loading was applied initially at double wattage, with no effect on the value of the unit. Increased load was applied in the presence of elevated temperatures, still the units were ale to show no change in value. Tests were made on an intermittent basis and the loads were varied from less than normal to more than double load. Tests were carried out by many different groups., and were highly satisfactory. One of the most recent tests shows that not a single unit dropped in value under various loads up to double wattage and voltage up to 880 volts and greater. Variation of load of any one unit was less than 2 per cent, but the majority of the units were fractions of 1 per cent. In fact, loads in excess of 1 watt were placed on the 1/4-watt units. These units were tested also under usual humidity conditions and found to be without change. They were then placed in water for varying periods of time, and again satisfactory results. Further, these units have been subjected to any unusual test; such as putting them directly into water; into boiling water; and into live steam with satisfactory results.